Do not wish for something but you work for it. "Hello! 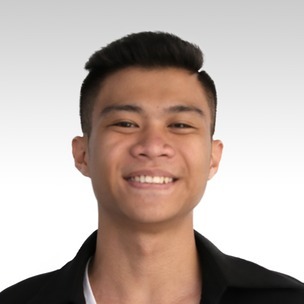 My name is Michael Vincent Nacua, you can call me Teacher Michael. I took up Bachelor of Secondary Education major in English. I experienced teaching students during my college days as a Student Teacher. I took up Education program because I want to teach, and I want to make my students learn. I chose English as my major because it is important and as we all know English is a universal language and it helps us to interact with people around the globe. I love English and I want to share my knowledge about English to my students. Teaching is my passion and it makes me happy when my student is eager to learn more, it is wonderful to see students that are happy in learning English. Aside from teaching and learning English, I also like watching movies and reading books, my interests to learn English more started when my English Instructor said "You can use English in many ways" then I studied English because I want to get more information by myself. I like American movies, comedies, and TV dramas. There's no need to be afraid of learning English, rest assured I am here to teach you and it will be fun and it will be comfortable for you to learn from me. Once learning another language, you can use it to communicate with foreign people, you can talk to them and learn about their culture and many more. Imagine other people wanting to speak English as well as you do. Imagine the possibility of writing an e-mail to people from all over the world. You should book in my class because I can make English class more interactive and fun and I will help you to motivate more in learning English. I am a positive person and I am friendly, I also respect student’s opinions or ideas. Everyone makes mistakes, but that's where we can see that learning English is fun! Surfing in the internet, playing online games, playing basketball, watching movies and reading books.